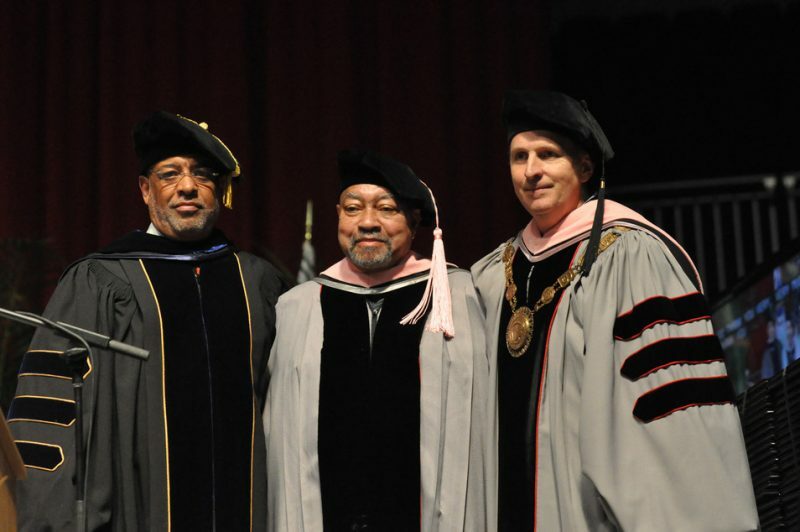 Honorary doctorate of music degrees were bestowed upon some of the world’s most eclectic musicians at Berklee College of Music’s 2010 Commencement this month. More than 850 students from 54 different countries received degrees, thus joining the esteemed club of Berklee alum. More than 4,000 people were in attendance for the graduation ceremony, which was held on Saturday, May 8 at Boston University’s Agganis Arena. 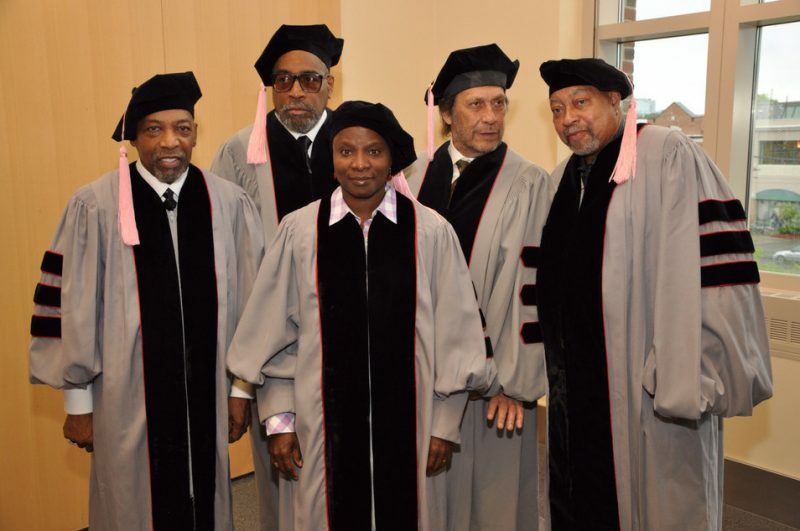 During the commencement, Berklee President Roger H. Brown presented honorary degrees to African-born singer/songwriter Angelique Kidjo, Spanish guitarist Paco de Lucia, jazz composer Kenny Barron, and songwriting duo Leon Huff and Kenneth Gamble, who also gave the commencement address. The recipients were recognized for their achievements in contemporary music, for their enduring contributions to popular culture, and for the influence their careers and music have had over Berklee’s international student body. In his address, Gamble encouraged the graduates to be more than simply musicians, but to encourage the practice of love through their music. At one point he quoted his hit song “Love Train”, written with Huff for the O’Jays, leading an impromptu sing-along of the well-known chorus. While accepting their honorary degrees, the other recipients all spoke about the various ways in which music has affected their lives. The annual commencement concert, which took place the evening before at the same location, allowed some of the school’s most accomplished students to present a tribute to the honorees, and in some instances play alongside them.